Computers are fun…. if they work! Windows Phone 7 with Mango – Facebook chat not working? to get the latest update sent to your computer. 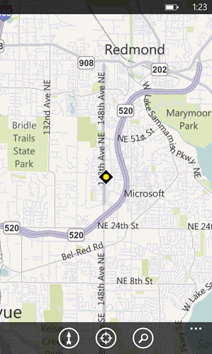 When you are in bing maps and you hit the search button, does the phone brings you to Bing Maps in internet explorer? Go to Settings/Region and Language, change the last option “Browser & Search language” to “English United States”. en Settings/Region and Language, verander onderaan je “Browser & Search language” naar “English United States”. This entry was published on Thursday, January 27th, 2011 at 14:30	and is categorized under Windows Phone 7. You can follow any responses to this entry through the magic of RSS 2.0. You can also leave a response, or trackback from your own site. Thanks for visiting my IT site! Spend sometime to look around and check out some of my posts. I would love to hear feedback from you and enjoy your stay. If you like it here, don't forget to bookmark it!